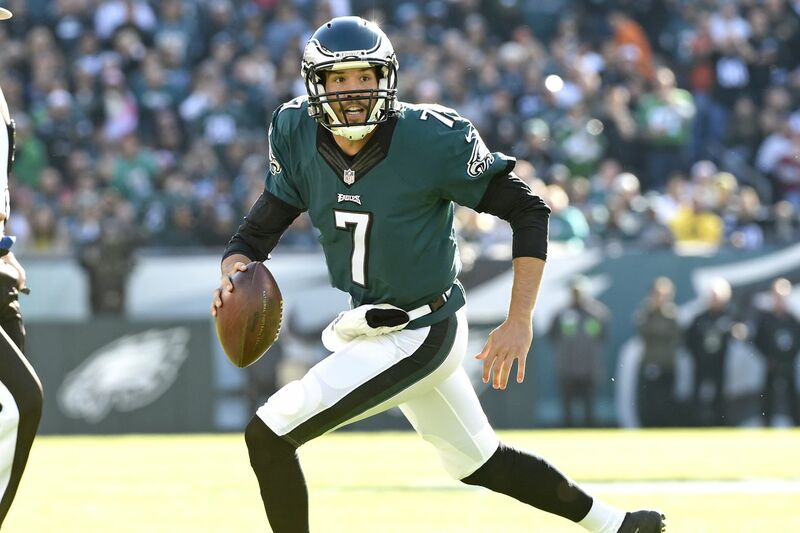 Are the Eagles closing in on a new deal with the quarterback? The Philadelphia Eagles are trying to lock up Sam Bradford to a multi-year contract, according to a report from NFL insider Mike Garafolo. The Eagles have reportedly "upped their offer" to Bradford during contract negotiations with agent Tom Condon this week at the 2016 NFL Combine. The terms of the offer aren't available, but sources indicated the Eagles' believe it's a very strong offer for Bradford -- one that's at the top of his expected range on the open market and one that should help get him under contract before that market opens on March 9. Though former Eagles coach Chip Kelly is the one who brought Bradford to Philly, sources have repeatedly said Howie Roseman likes what he saw from Bradford last year, as do Doug Pederson and his offensive coaching staff. The Eagles have publicly expressed interest in retaining Bradford, but the team reportedly isn't interested in using the franchise tag on him. This course of action would suggest the Eagles want Bradford back at a more reasonable price than the $19 million franchise tag figure. I don't doubt that the Eagles have legitimate interest in bringing Bradford back. A report like this is curious, however. If the Eagles' offer was so "strong," wouldn't Bradford just take it? This report falls in line with the notion that the Eagles might want to make it seem like they did everything to keep Bradford, short of overpaying for him. At this point, if Bradford isn't back, it'll look like the Eagles tried but he didn't want to be back. Speaking of, it's been reported on multiple occasions that Bradford isn't crazy about returning to Philadelphia. The Eagles have until 4:00 PM on Tuesday, March 1 to use the tag on Bradford. That's not expected to happen. The next deadline is March 7, when Bradford's agent can begin negotiating with other teams in the "legal tampering window" before NFL free agency officially begins on March 9. Can the Eagles get a deal done by then or will Bradford hit the market? Only time will tell. WHY CAN'T I BE THE COACH ??? ?